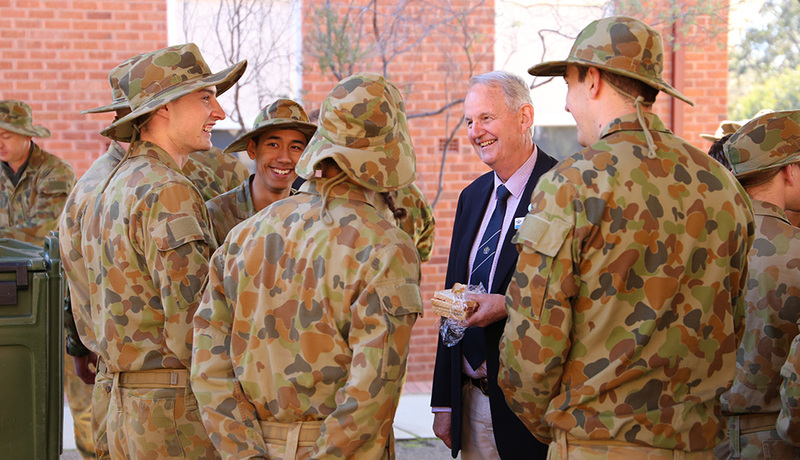 Regarded as one of Australia's major Defence Force establishments, Wagga Wagga is home to the Army Recruit Training Centre Kapooka and Royal Australian Air Force (RAAF) Base Wagga. Servicemen and women from the Army, Air Force and Navy are all based in the city. All full time soldiers in the Army must first complete Soldier Training at the Army Recruit Training Centre Kapooka, less than 10 kilometres south-west of Wagga Wagga. Read more on the Australian Army website here. In May 1945, Australia suffered a horrific military training accident when an explosion at the Kapooka Army Base resulted in the death of 26 men. Read more on the Kapooka Tragedy Memorial here. Royal Australian Air Force (RAAF) Base Wagga is a tri-Service training base. All ground based Air Force members come here for at least one level of training. RAAF Base Wagga has been an integral part of the local Wagga community for over 70 years. Established in 1940, RAAF Base Wagga now delivers technical and non technical initial employment and post-graduate training, supporting four major training units. Since 1993, Navy personnel have been undertaking aviation Initial Technical Training at the RAAF School of Technical Training based at the RAAF Base Wagga. Read more on the Royal Australian Air Force website here. The RAAF Wagga Heritage Centre showcases Air Force history along with representing the significant involvement of the RAAF in the Riverina region. The static aircraft display adjacent to the Heritage Centre represents over sixty years of RAAF flying history and is accessible for public viewing at any time. Find out more about the RAAF Wagga Heritage Centre.